This motor was sitting for while in storage and installed new carburetor and it fired up without hesitation. Its running properly and nothing weird that is going on with the engine. Tecumseh Generator Engine Model LH358XA-159493 10HP ~ NEW. 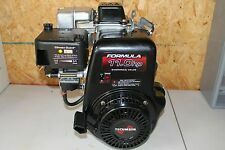 NEW Tecumseh Generator Engine Model LH358XA-159493. Cast Iron Sleeve. CRANKSHAFT SIZE POSSIBLY COULD BE DIFFERENT. The local authorized dealer will perform a warranty inspection and submit their findings for claim approval and service. 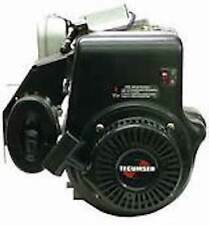 NEW Tecumseh 11HP Generator Engine. Cast Iron Cylinder Sleeve. CRANKSHAFT SIZE POSSIBLY COULD BE DIFFERENT. The local authorized dealer will perform a warranty inspection and submit their findings for claim approval and service. Up for sale is the Shortblock of a 10HP Tecumseh LH358SA Horizontal Engine! Crank is 3/4" and it is 2 1/4" long. 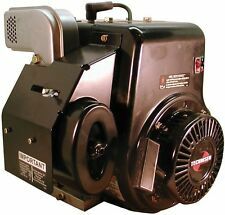 Tecumseh Model NO Tank, Fixed Speed 3750 /- 150 rpm. TECUMSEH ENGINE- HSSK50 HS50 HS40 - DIPSTICK & TUBE. Condition is Used. Shipped with USPS First Class Package. Came off a Hs50 tecumseh engine. Paypal only, US shipping only. 11HP Generator Engine. Lighted Stop Switch. Low Oil Shutdown. Fixed Speed 3750 /- 150 rpm. No fuel tank. Bolt on Recoil. The short block has been sitting inside the box on a warehouse shelf for several years and box is a dusty and dirty. What you see in the pictures is what you will receive. Condition is Used but runs. Vintage Tecumseh Small Engine Lauson Power Products Dealer Repair Tool Set. Condition is Used. Shipped with USPS Priority Mail. All external parts & Crankshaft were removed to refurbish another engine so will need new crankcase seal. Great Overhaul Kit! (Bolt in your crankshaft, Assemble & you're done) No scraping carbon, valve lapping, honing etc. Electric start, replaced carburetor and it will start and run, but can't seem to get the fuel mixture right. Replaces Part # 33329, 33329C, 33329D, 33329E, 37000. TECUMSEH: 33329, 33329C, 33329D, 33329E, 37000. Industrial Applications with Tecumseh Engines. Tecumseh Snow King Engines. USED ON 8HP THRU 13HP ENGINES - TECUMSEH MODELS HMSK80 THRU 105, AND OHSK110 THRU 13. Includes housing, plate, filter, gasket and (4) screws. We will work with you on getting the right part for you, but we are not responsible for mistakes made on your end. This is a 7 HP engine from a ST724 Ariens snowblower. Engine has the studs on head for mounting the chute rod bracket-particular to ARIENS. Engine runs good with the usual Tecumseh performance profile. NEW TECUMSEH 10HP GENERATOR ENGINE. TECUMSEH: 36045A, 36045. TECUMSEH: VLV-50, VLV-60, VLV-65, VLV-66, VLV-126, TVS-90. & LEV MODELS WITH CARBS USING THE PART NUMBERS LISTED ABOVE. Trending at $5.80eBay determines this price through a machine learned model of the product's sale prices within the last 90 days. Cast iron sleeve. For 7/8" Bore Pulley with 3/16" wide Keyway. Block also has Low oil sensor which does not need to be connected if yours doesn't have it. Notice Oil Fill & Drain location when comparing to your block to be sure if it will fit your application. The HM50 fits many other models as well, so check your application. This is the original OEM unit and is in good usable shape and still worked well on the blower. The pull start pulls and retracts like it should.